So, lets speculate for a second. Lets think about what 25 years of development bring you. 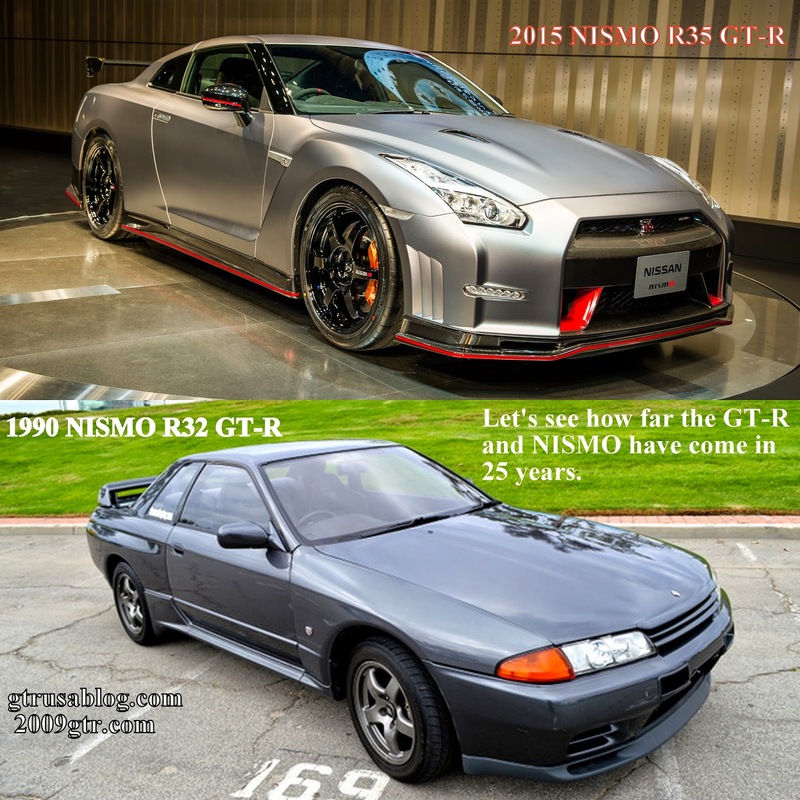 Since the 1990 NISMO R32 GT-R was released, there were four more years of R32 refinement, then three years of R33, followed by three more years of R34. Then a bit of a break, 2007 in Japan (2009 model year, 2008 release US) saw the R35. Now we are seven years into the R35 with the normal NISMO being available in Japan, and the US model NISMO coming in July as a 2015 model. Pretty close to 25 years, lets not split hairs. 25 is nice and round, and we are going to use that number. There is no replacement for displacement. 3.8 liters vs just under 2.6 liters. The RB is a revver, the VR makes pretty big torque. The R35 weighs more than 600 lbs more than the R32, but it still about manages to half the 0-60 time. The coefficient of drag on the R32 GT-R is also commonly known as brick. 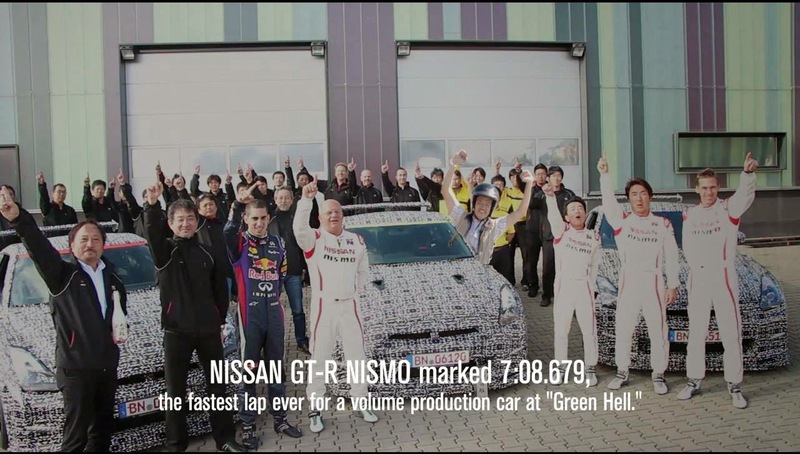 Top speed is always listed around 155 mph, where the R35 will do close to 200 mph. The tires and brakes on the R35 are a huge improvement over the R32, but still probably a little lacking for the amount of weight the car has to carry. The NISMO R32 came shod with 16x8 wheels, and 225/50/16 Bridgestone Potenza RE71 tires. The NISMO R35 has a 20x10 front wheel with a 255/40/20 tire, and a 20x10.5 rear wheel with a 285/35/20 Dunlop Sport Maxx DSST CTT. The front brake's on the R32 had 4 piston calipers, with a 296 mm rotor, where the R35 has a 390 mm rotor and 6 piston calipers. On the rear the R32 has a 297 mm rotor with a 2 piston caliper, the R35 has a 4 piston caliper and a 380 mm rotor. I would love to see some more data comparing the two cars in the real world, on a couple of tracks. Stock for stock, its pretty obvious what will be faster. Still might be something fun to do. No. Not in the R32,and R33 GT-R. The R34 had a 6 speed, but that was the first one. I'll take R32 any day for classic styling and terrific price/value, R32 FTW! Gotta agree with the guy above me. The BNR32 has the racing pedigree, the classic lines, and a sort of iconic image the R35 will never match.